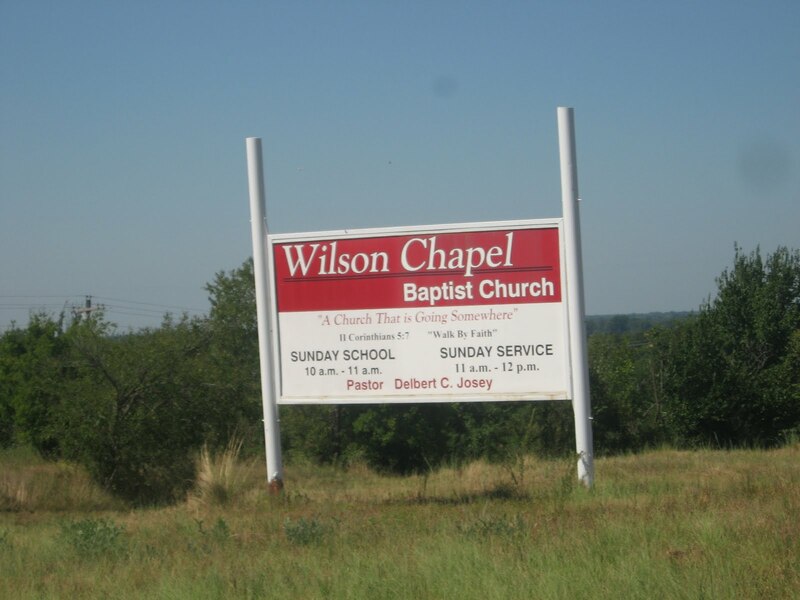 The Wilson Chapel is located on highway 16 west of Muskogee Oklahoma. 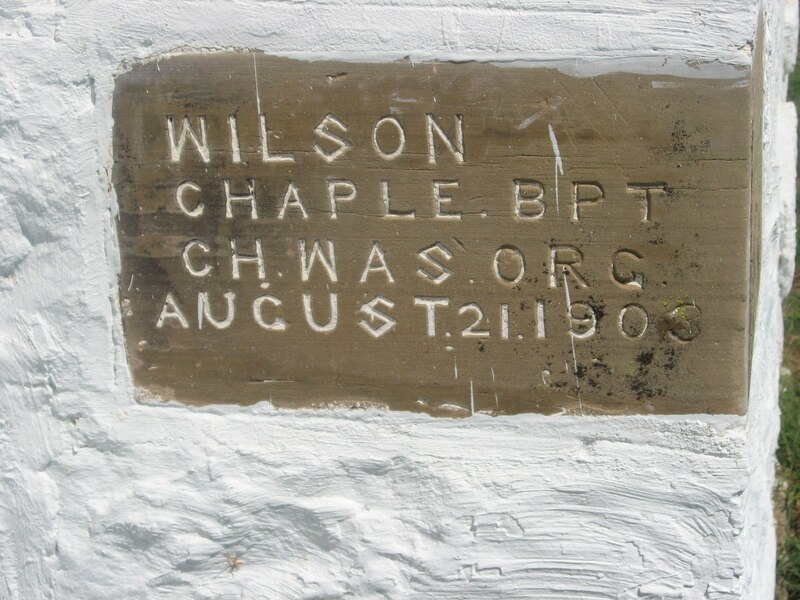 The inscription on the buildings cornerstone says Wilson Chaple BPT CH (Baptist Church) was organized August 21, 1906. 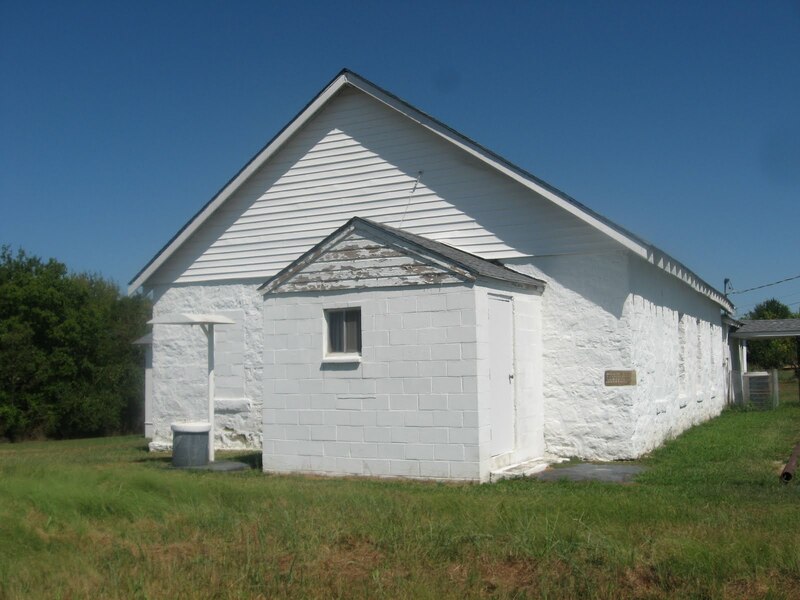 The Wilson Chapel Baptist Church still holds services. 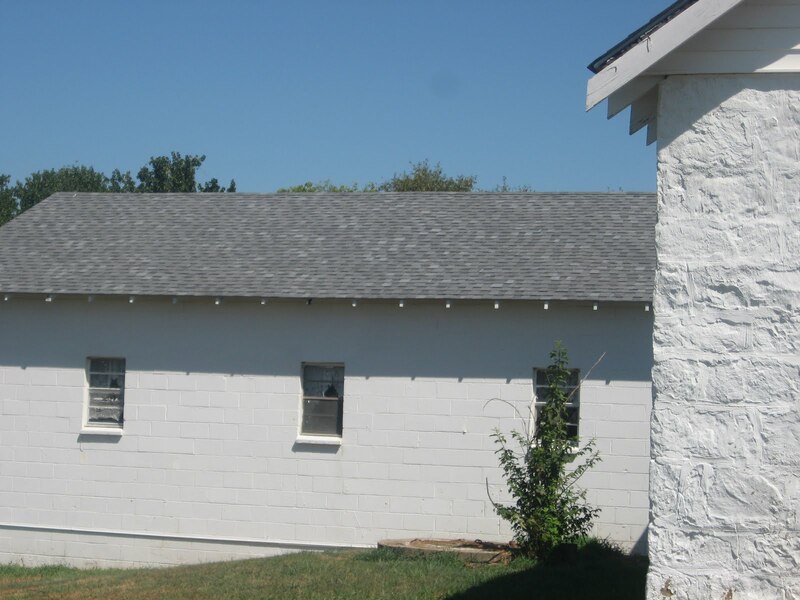 An addition of cinder block? 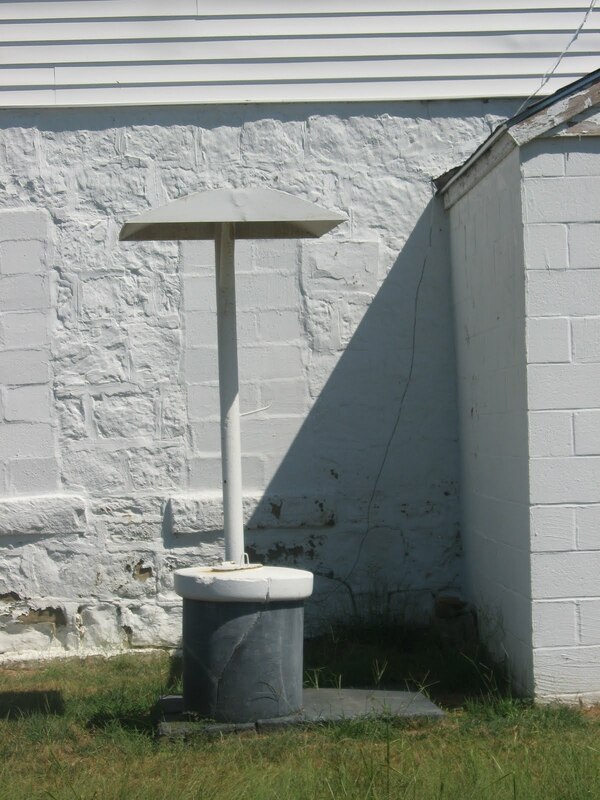 This water well sits outside the front entrance. 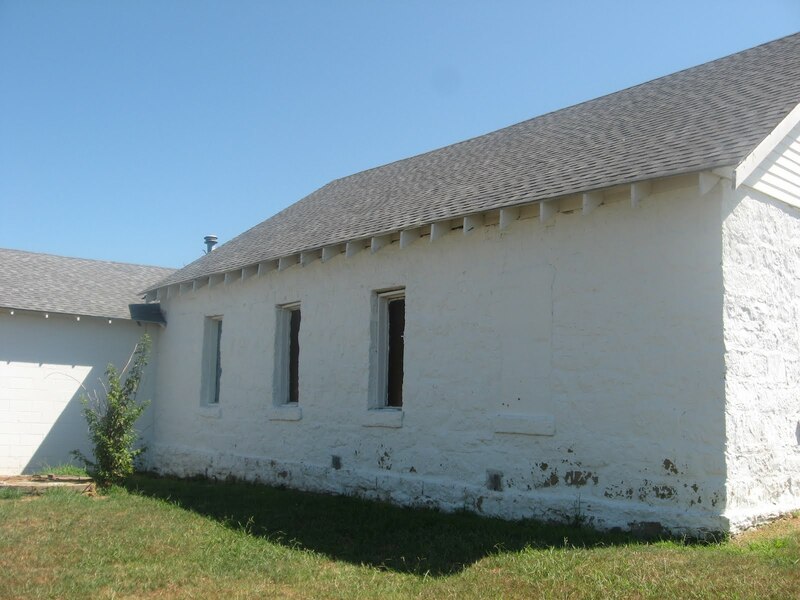 Hooks held the bucket ropes. 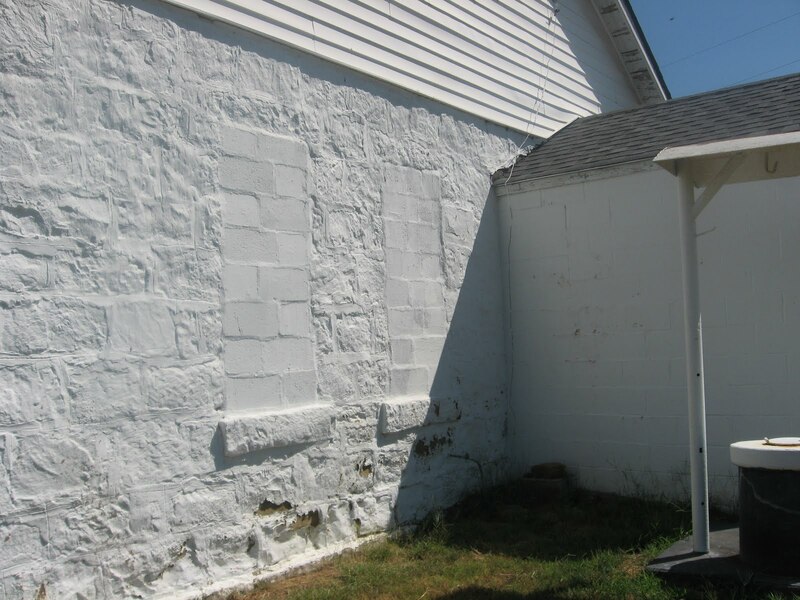 These windows were bricked in. I wondered why. A vase of silk flowers decorate each window sill. 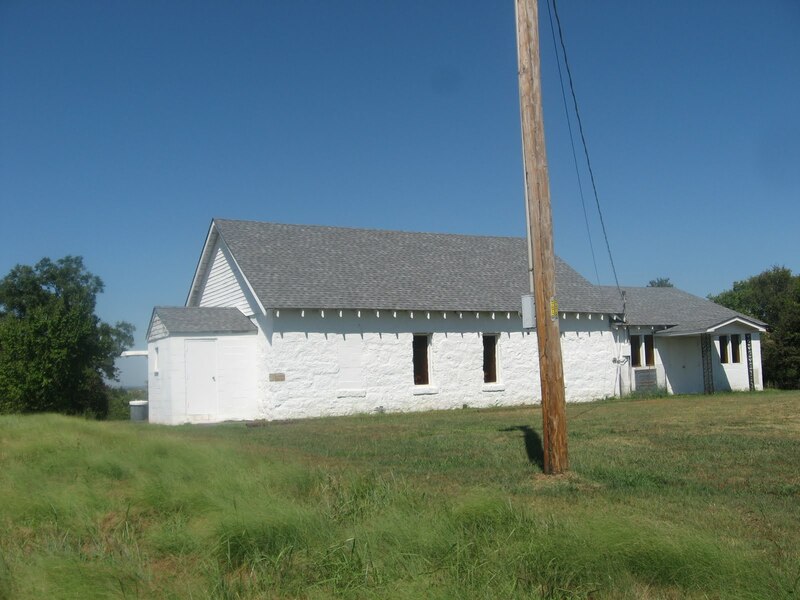 The little chapel on the prairie. 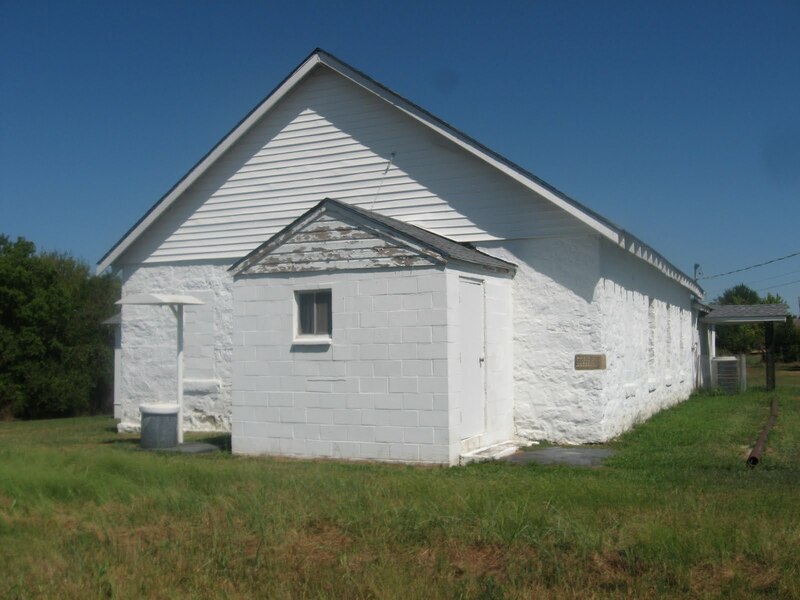 There are many little white church building spread across the prairie. 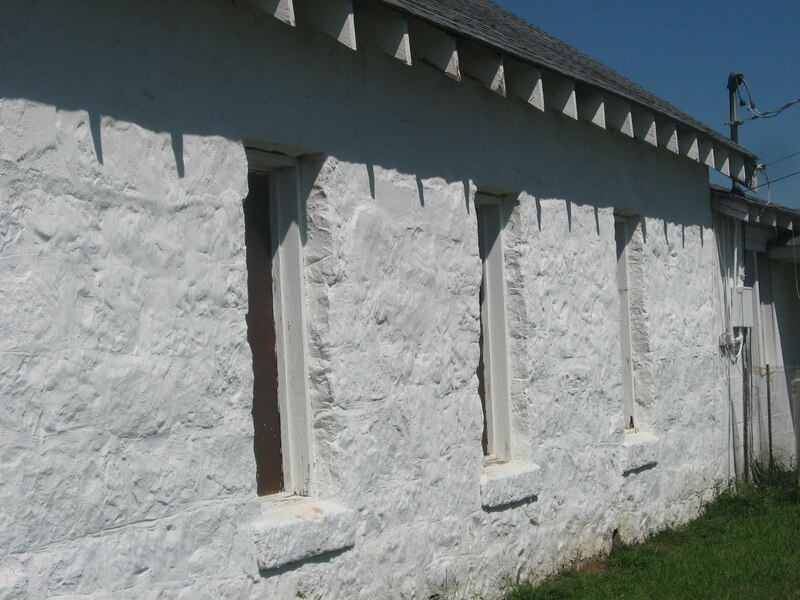 Some built of stone or bricks painted white, many of clapboard.